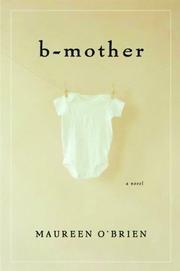 A teenaged girl has a baby out of wedlock in the 1970s and spends the next 18 years waiting to see if her happily adopted son will seek her out, in this first novel that reads like an updated Joan Crawford movie. The summer before her junior year in high school, Hillary has a romance with Miles, a rich boy from New York vacationing in Hillary’s small Maine town. When Hillary becomes pregnant, Miles presses her to have an abortion, but having heard the heartbeat, she wants the baby. Her parents, still grieving four years after her older brother’s accidental death in a college hazing incident, offer little emotional support and send her packing to a Catholic Home for Unwed Mothers. While there, she picks out the couple who will be her baby’s adoptive parents. The sensitive adoptive mother, Lola, bonds with Hillary, but Hillary nevertheless grieves deeply. Back home to finish high school, she hangs out with the local quirky misfits who always populate the margins of this sort of uplifting women’s fiction. Off to college, Hillary tries to hide her past, but her neurotic roommate, whom Hillary has helped get an abortion, discovers her secret and humiliates Hillary on graduation day by displaying a painting of Hillary pregnant. Hillary moves to a small Maine coastal town where she lives quietly for over a decade, working in an antique shop and developing a gentle relationship with a local mechanic with the proverbial heart of gold. She is not allowed to contact her son but receives annual letters from Lola keeping her updated on his development. Eventually, Hillary is re-united with her son, who recognizes how sacrificing and wonderful she is. Meanwhile, both her mother and Miles acknowledge how they’ve failed her. An earnest and plodding narrative whose heroine comes across as a whiny victim, much put upon by cold parents, a caddish boyfriend and spoiled college acquaintances.